Why can’t patients order directly from Ocutech? Low vision specialists are experienced in determining important technical details needed to properly order Ocutech low vision aids. We are happy to assist your prescriber in placing your order or to refer you to an Ocutech specialist closest to you. We refer interested individuals to Ocutech prescribers throughout the world. We offer special diagnostic kits and loaner evaluation equipment. 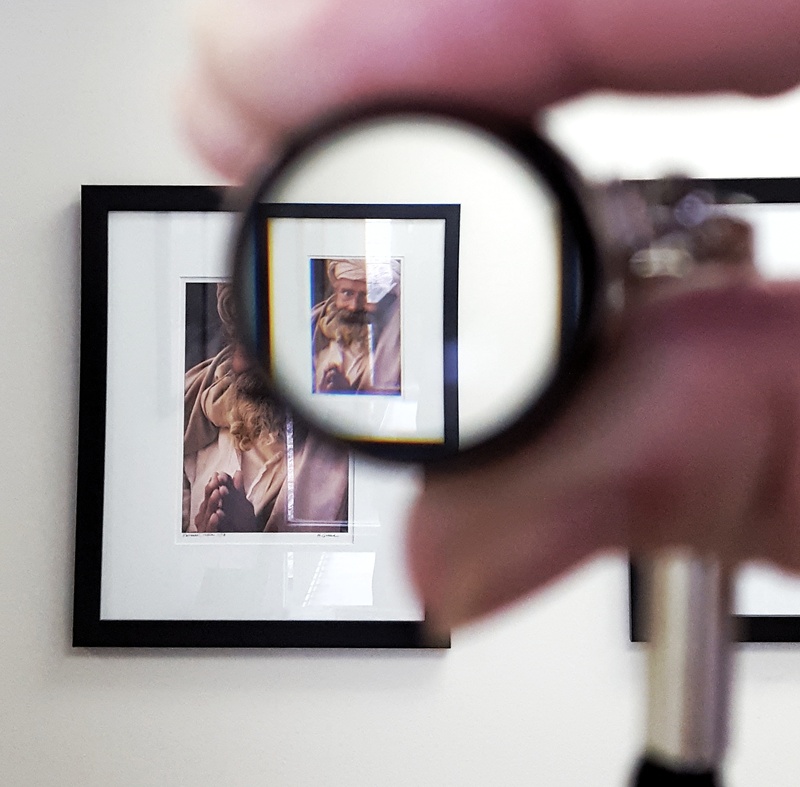 Low Vision Specialists will find that our clinical methods, marketing support materials, experienced technical support staff, convenient ordering and prompt service will make prescribing Ocutech bioptics easy and rewarding. We invite you to contact us to become an Ocutech prescriber. The award-winning Ocutech VES Autofocus Bioptic is now available in its totally new design! 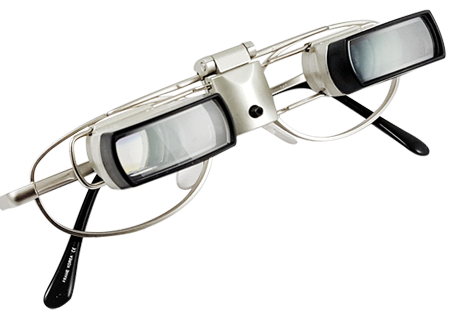 Called the VES-Falcon it uses the most modern technology to provide the most natural magnified vision possible. Wherever you look the image will be clear immediately, just like normal vision! The VES Sport-II is Ocutech’s new version of our very popular Keplerian optical design bioptic telescope. It provides the widest fields of view available in 4x, 5x and 6x power devices and can be focused to as close as 9 inches! The Sport-II is 20% smaller and 10% lighter than the original Sport design. Its parallax corrected optics provides exceptional image clarity and brightness, and its modern, lightweight ergonomic and fully adjustable design can provide relaxed, comfortable viewing all day long. It’s even available in colors! They are ideal for individuals with moderate vision loss of 20/300 or better. The VES-Explorer manual focus bioptic telescope, available in 3x and 4x powers, offers Ocutech’s wide field-of-view Keplerian optics. As with all of Ocutech’s VES products, its small, lightweight (less than an ounce!) and comfortable design provides edge-to-edge image sharpness. Appealing to both children and adults, its light weight makes the Explorer comfortable to be worn all day long! It is ideal for moderate vision loss of 20/200 or better and comes complete with Ocutech’s custom designed metal frames available in a range of styles, colors and sizes (even pediatric). The SightScope Flip is Ocutech’s innovative Galilean telescope system. Its completely adjustable design provides the widest field of view possible! It’s easy and natural to use and can be flipped out of the way when not needed! 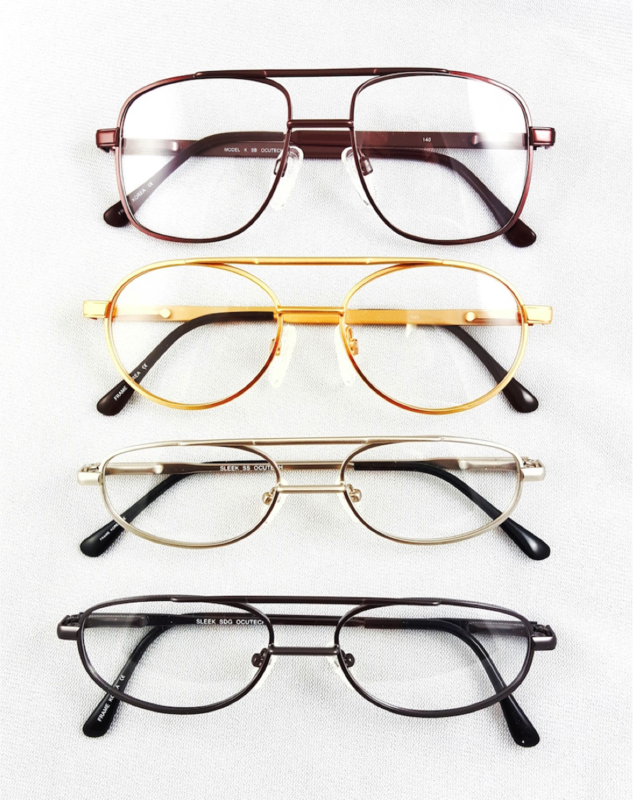 Sharp and crisp optics provide a broad range of clear vision without focusing. Special slip-on reading caps, include prism for fusion at near, providing magnification at normal working distances for the computer, playing cards and board games and even reading. The SightScope Flip is available in 1.7x and 2.2x powers and can be prescribed binocularly or monocularly. It is recommended for individuals with mild vision loss of 20/100 (6/30) or better. 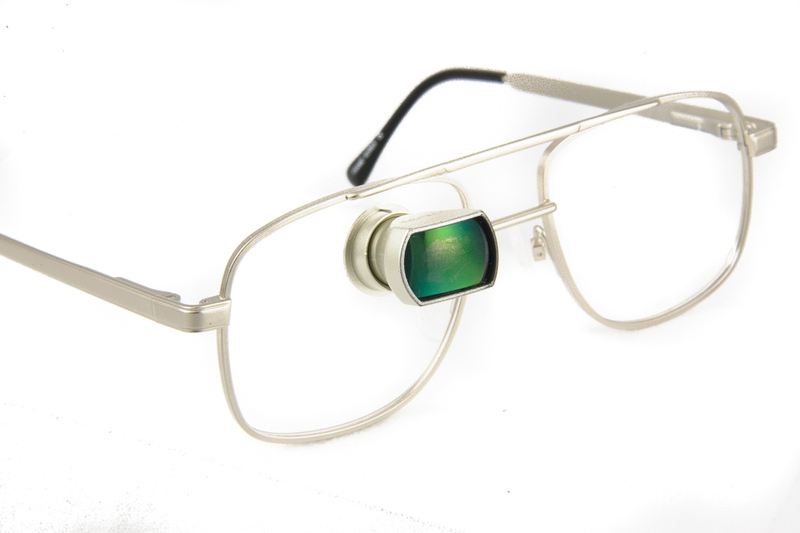 It is also available as a 0.5x Field Expander for individuals with tunnel vision. 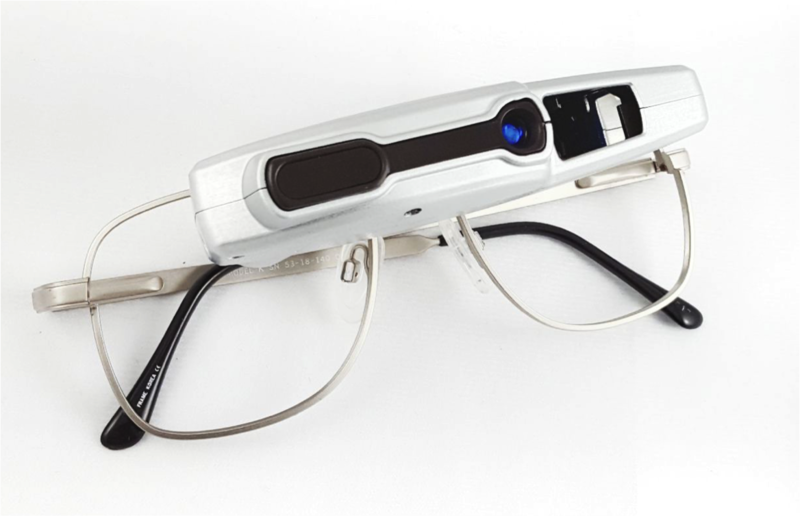 The SightScope NearView is Ocutech’s innovative Galilean telescope system designed just for near vision. Its completely adjustable design provides the widest field of view possible! It’s easy and natural to use and can be flipped out of the way when not needed! Sharp and crisp optics provide a broad range of clear vision without focusing. It is ideal for normal near working distances from 40″ to as close as 13″ for seeing the computer, playing cards and board games and even reading. The SightScope NearView offers magnification powers from 1.8x t0 2.6x based upon the working distance. It is recommended for individuals with mild vision loss of 20/100 (6/30) or better. The Ocutech 3x VES-Mini is the smallest, lightest, widest-field Keplerian bioptic telescope available. The VES-Mini is only half the size of traditional Keplerian telescopes, weighs less than an ounce, and focuses quickly to as close as 9 inches! It is prescribed in a traditional through-the-lens mounting design, and can be prescribed for one or both eyes. It’s available in both black and silver. It is very popular for bioptic driving and ideal for individuals with moderate vision loss of 20/150 or better. 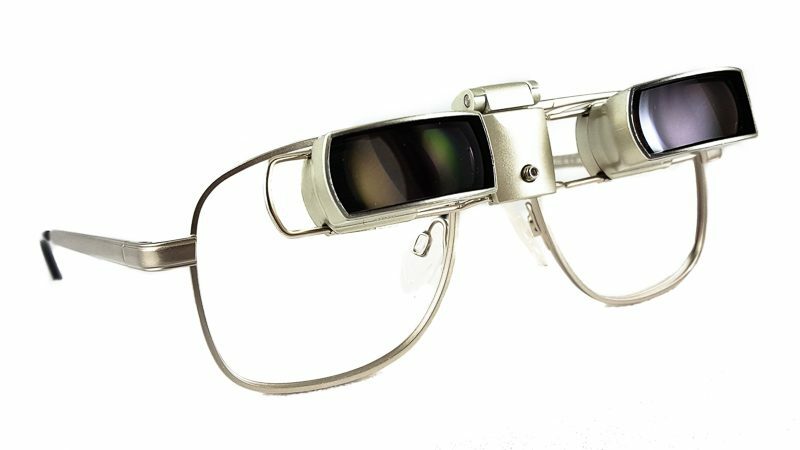 The Ocutech VES-II is the improved version of Ocutech’s original Keplerian optical design. Available in 3x and 4x powers, it provides sharp, wide-field Keplerian optics, convenient focusing, and light weight. Its fully adjustable mechanical mounting system makes prescribing a high quality bioptic system quick, convenient and readjustable. Attached to Ocutech’s specially designed plastic eyeglass frames, this modular system allows the prescriber to independently assemble the system making it convenient and popular throughout the world. It is recommended for individuals with moderate vision loss of 20/200 or better. The VES-K manual focus Keplerian bioptic telescope, available in 3x and 4x powers, offers Ocutech’s wide-field Keplerian optics. As with all of Ocutech’s VES products, its small, lightweight and comfortable design provides edge-to-edge image sharpness. Patients can wear the VES-K all day long. It is ideal for moderate vision loss of 20/200 or better. Visual field expanding aids make images smaller to enable individuals with tunnel vision from Retinitis Pigmentosa (RP) and other visual disorders to enhance their peripheral field awareness to travel more safely and to locate objects beyond their normal field of view. Ocutech offers three Visual field expanding products– The Image Minifier, The Field Viewer and the Field Expander. The Ocutech InstaMount Series offers a quick, convenient method to attach a monocular Galilean Bioptic to the front of an eyeglass lens. It is available as a 2.2x Telescope (TS) or a 0.5x Field Expander (FE). 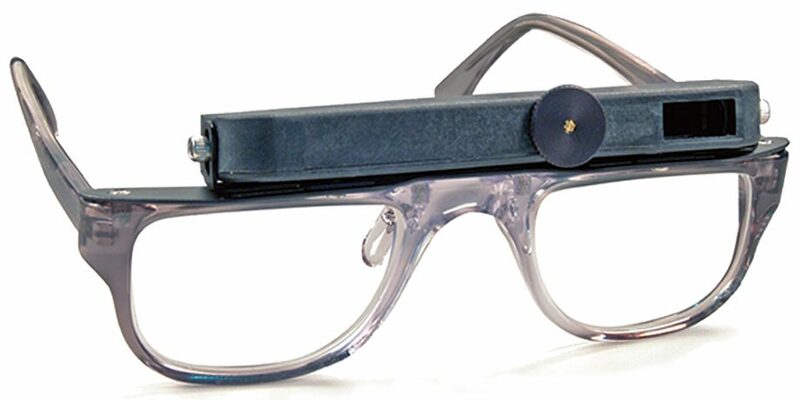 These can be prescribed either by permanently mounting the device to the uncoated eyeglass lens using prescriber-applied self-adhesive flanges, or attaching the telescope to the front of magnetic clip-on frames (The On & Off Bioptic) using either the self adhesive flanges or by drilling through the lens in the clip. This approach allows the telescope to be removed easily and conveniently when not needed. A convenient demonstrator clip makes positioning, demonstrating and ordering simple. Ocutech offers five frame styles that are compatible with all Ocutech telescope products. Contact Ocutech for metal clip-on frame options for InstaMount system.